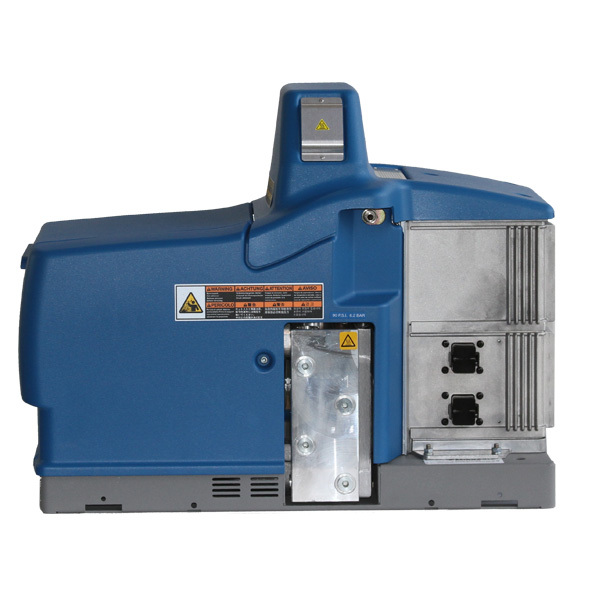 Nordson® offers a variety of adhesive systems to suit your specific manufacturing needs. 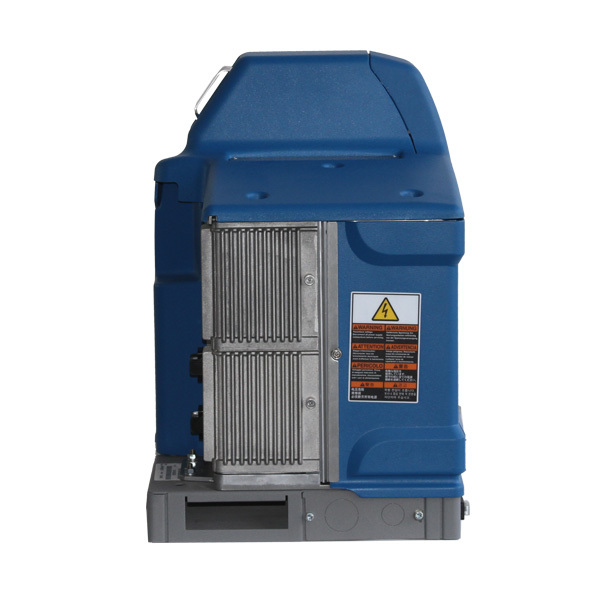 A comprehensive selection of pump and hopper sizes, along with a variety of hose gun connections, help you customize a hot melt system that meets your individual requirements. 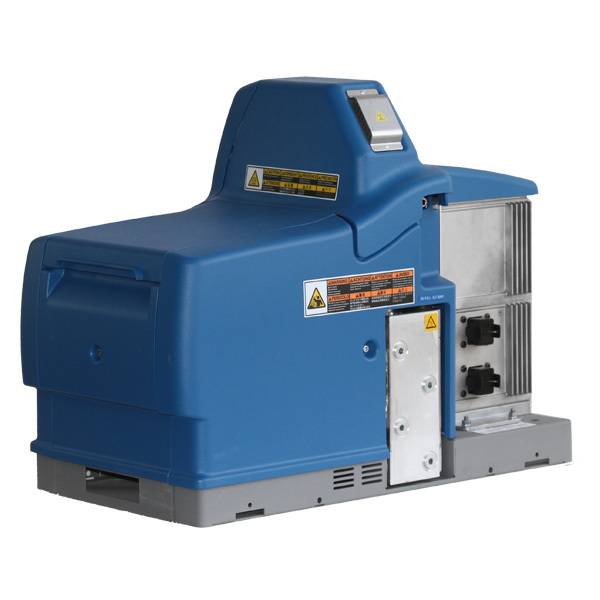 Nordson® hot melt glue systems are easy to install, operate and maintain. 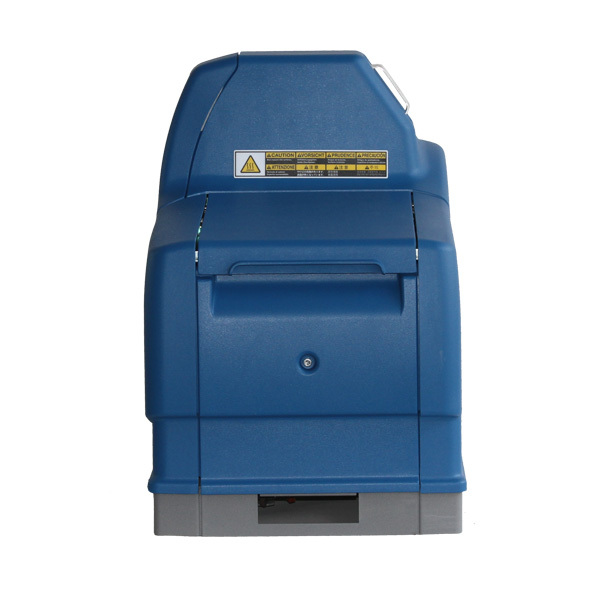 ProBlue Adhesive Melters from the Nordson® Corporation are simple, compact and designed to maximize uptime and reduce operating costs. These rugged, flexible melters fit virtually any packaging line. ProBlue 4, ProBlue 7 and ProBlue 10 systems are all 5 hose capable and have multiple electrical configurations. The holding capacity on the ProBlue 4 is 3.9 kg (8.6lbs), on the ProBlue 7 it is 6.8 kg (15lbs) and the ProBlue 10 is 9.7 kg (21.4lbs). 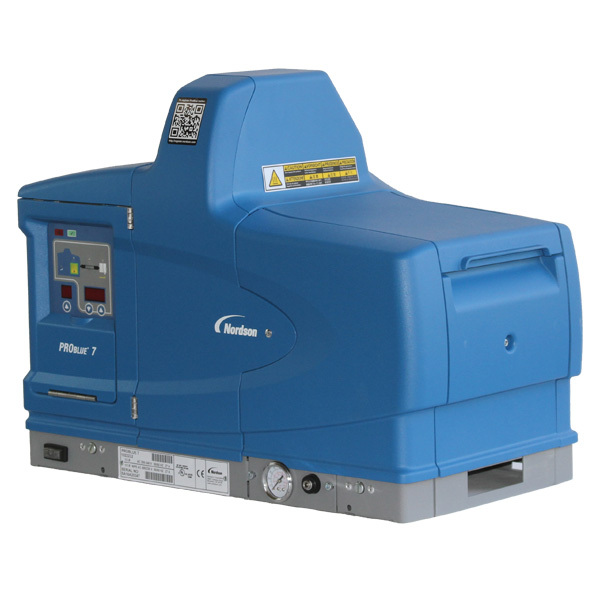 For more information on the Nordson® ProBlue 4, Nordson® ProBlue 7 or the Nordson® ProBlue 10 give us a call at 1-800-642-7876 and we would be happy to discuss your hot melt equipment needs. As a previsously authorized distributor for the Nordson® Corporation who better to trust than someone with years and years of experience and knowledge. We have a large inventory of Nordson® compatible parts and can ship same day!!!! 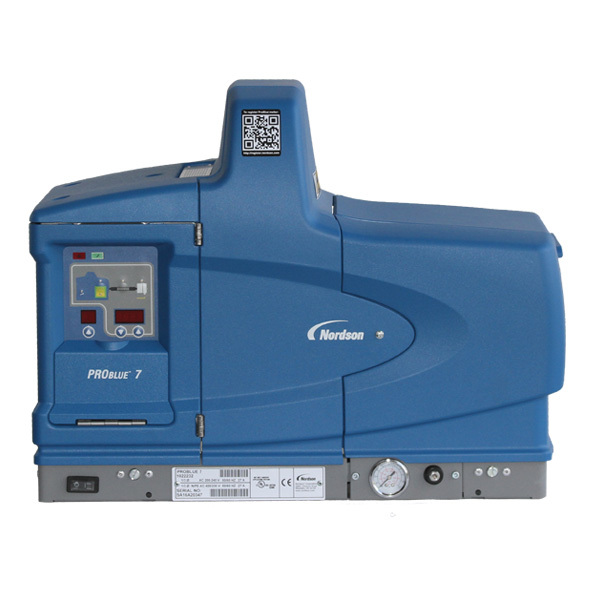 Need a Nordson® manual for your Nordson® equipment...give us a call and we will help you get the manual you need. We are just a phone call away.